SILKS at CROWN continues to shine brightly with superb food and service! With the festive season comes a variety of chances to head out on the town to enjoy a meal with visiting family and friends. 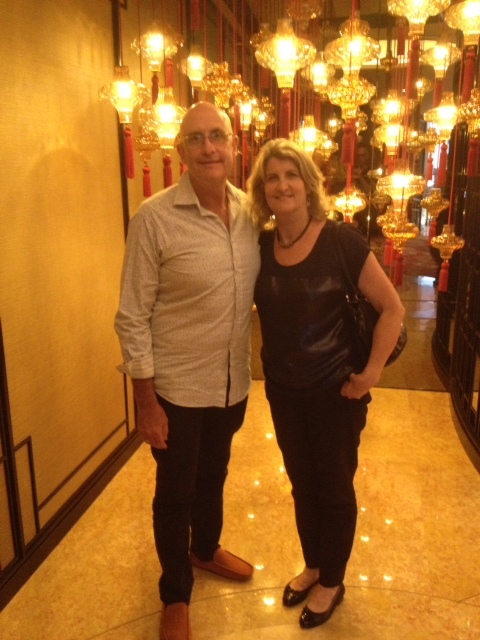 And so, after a couple of misses along the way, Trevor and I headed to SILKS at CROWN www.crownperth.com.au/restaurants/premium/silks/about with my lovely sister-in-law Nola, visiting from Sydney for a Saturday Dim Sum. As you will know from my earlier blog post on this newest edition to the CROWN stable I loved SILKS and so this was the perfect excuse to share the wonderful decor, food and service with Trevor and my sister-in-law and it did not disappoint. 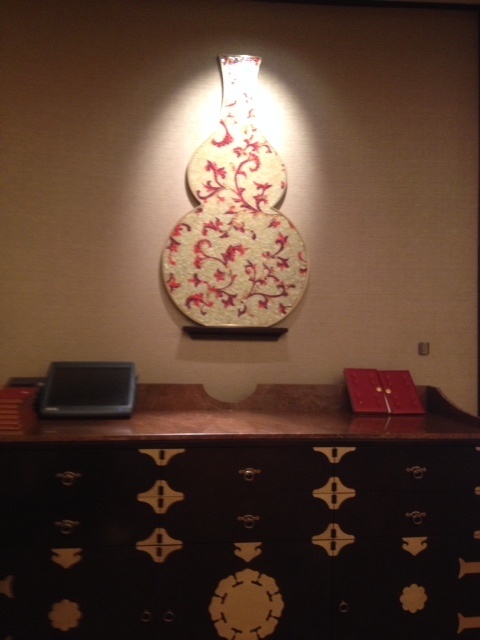 From the moment that you arrive you are welcomed effusively and the service is second to none! Presentation is everything and with a nod to the traditional SILKS does not disappoint! I had wanted to share the wonder of the Dim Sum menu and Trevor was not overly keen because his experience with Dim Sum has always been those overly crowded bustling China town restaurants where we always over ordered and had lots of food on the table and half of it invariably gets cold and the tastes all seem to meld into one. 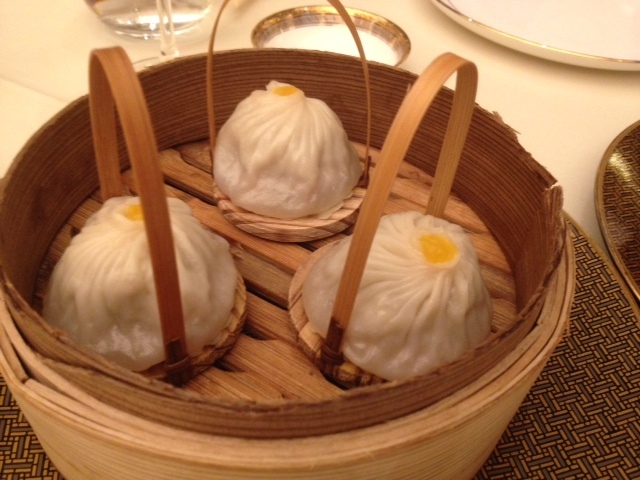 I reassured him that SILKS was in fact a very different dining experience for Dim Sum and he came away as a convert to the wonderful offerings and the staggered way they were served to us. As it had only been a few weeks since my last visit our wonderful waitress had remembered me and I once again asked that she just select a range of different options and serve them to the table for us to enjoy. This would then enable us to try a range of different things and trust that the kitchen would send out many different tastes for us to indulge in. In a restaurant of this caliber I love to give the options over to the chef in the kitchen to serve the dishes that he wants to showcase as it really does allow for choices that perhaps we would not normally make. 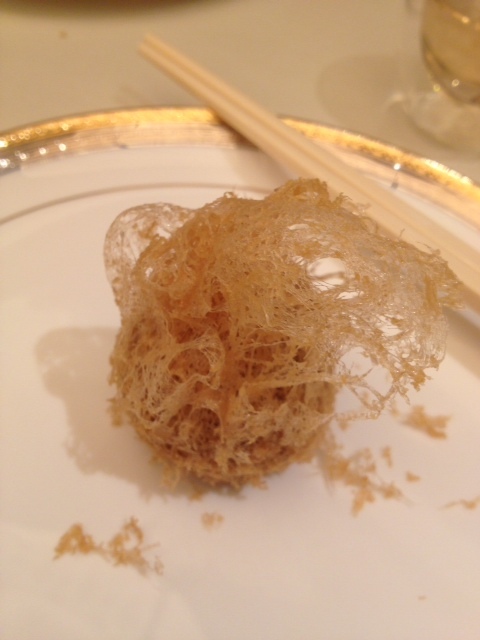 The only stipulations that we had was that there not be too much fried Dim Sum served (there are not than many options there anyway for fried food) and that they include the Patagonian tooth-fish Taro Puff, which I had loved last time. 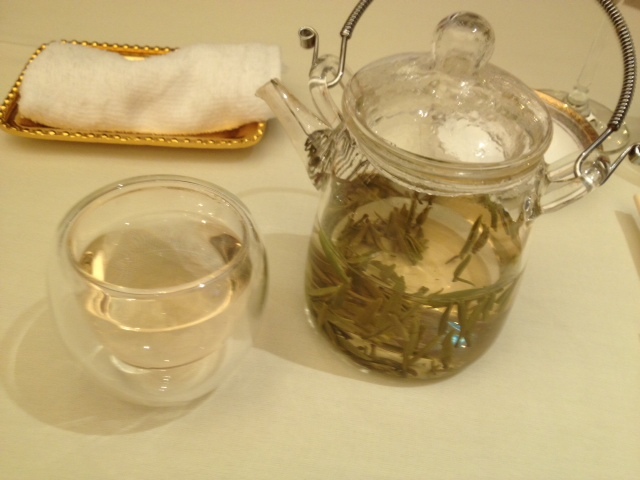 Delightful green tea served in glass tea pots and glass cups added to the overall feeling of tradition with style! One of the things that I also love about SILKS is the way they serve the green tea and are always keeping it replenished without having to ask. 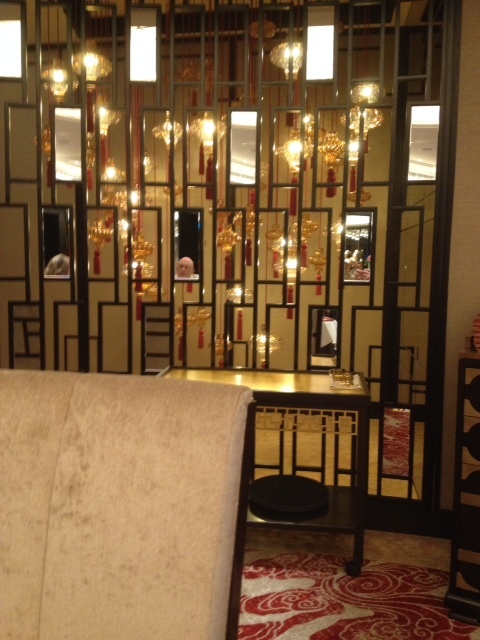 Along with that the very elegant and stunningly designed plates, dishes and serving platters all add to the elegance of a lunchtime Dim Sum experience. One of my favorite dishes from my last trip to SILKS that I wanted to share this time – Crispy Patagonian tooth-fish taro puff! Compared to my first visit which was a work day and I limited my choices this time we tried a few more dishes as we were all hungry and ready to experience the suggestions from the kitchen and we were impressed and delighted with each course. 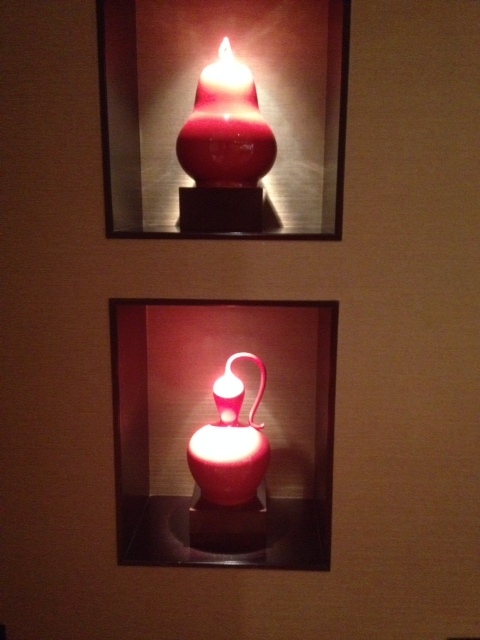 There was not one course that I would not recommend and my fellow diners felt the same. 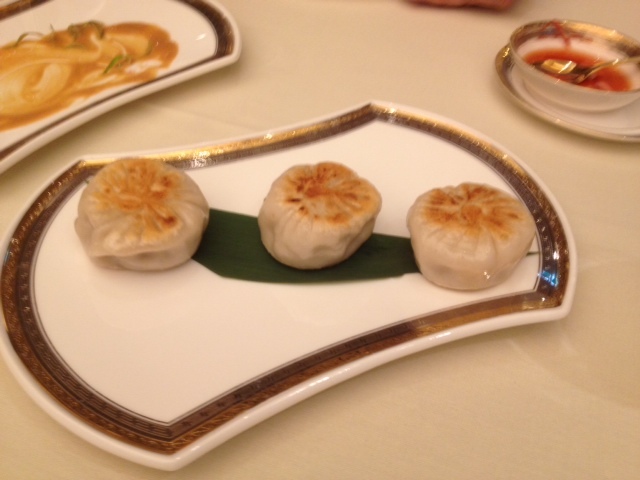 We started with the Shanghai style crab meat dumpling along with the Crispy fried Patagonian tooth-fish taro puff (our one deep-fried dish) and both were just exceptional in both presentation and taste. 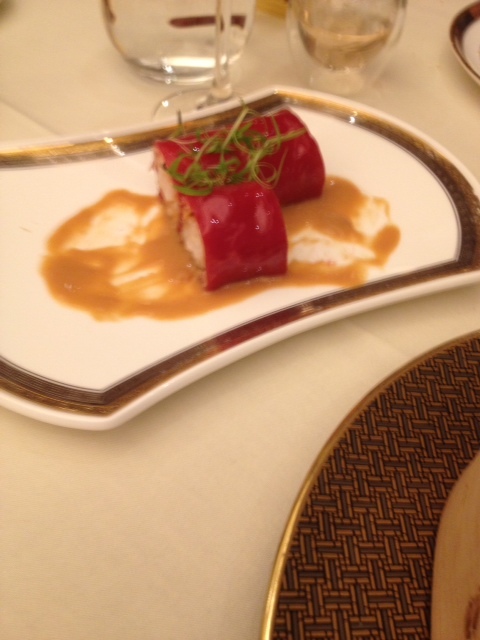 The flavors were just exquisite and once finished were excited to see what else we would be offered. Lobster dumplings and Red rice pasta ribbon with minced prawn was then served and the lobster dumpling were steaming hot and cooked to perfection. I had the red rice past ribbon on my last visit and it was once again a taste delight, served on a light satay sauce and blending all the flavors together to create a mouth-watering dish. Delightful dishes cooked to perfection and served with finesse! Next up there was a vegetable dumpling which was simple in its presentation but had some delightful flavors included to give a bit of a break from all the more substantial dishes that we had so far had. We were also then served a plate of delightfully steamed vegetables before heading into our last 3 Dim Sum treats – and what treats they were. All of the food that we were served was simply delightful but the last 3 dishes were the real highlights of the lunch for me. Starting with the Pork and prawn Siu Mai and the Wagyu beef buns we were all impressed by both of these dishes as they were filled with rich strong flavors. The Wagyu was cooked to perfection and had a delightful jus encased in it that kept it moist and full of flavor. 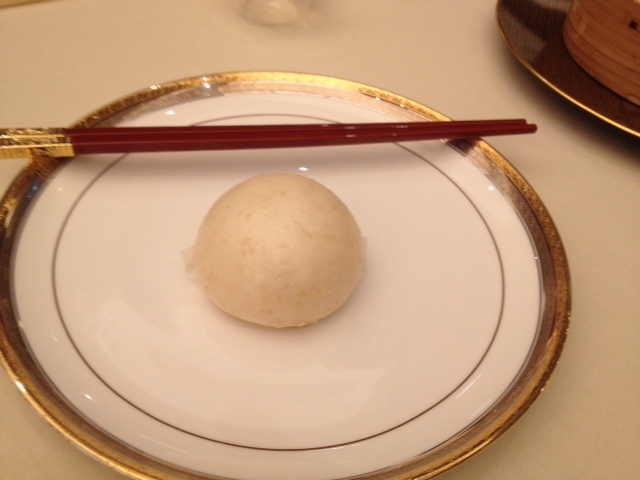 The Wagyu beef buns one of the highlights of the day! And then it was time for the last dish of this visit to SILKS and keeping with our request not to have too much fried food included our waitress had requested steamed salted egg yolk custard buns and they were the perfect way to complete the meal. 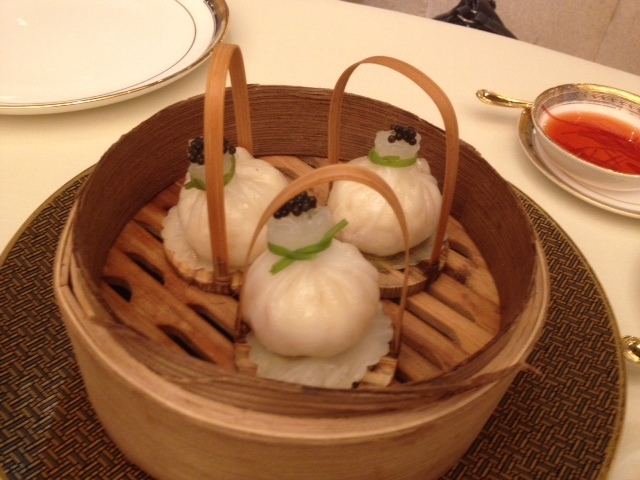 They were light and filled with an egg custard the complimented the steam bun and did not overpower in any way. Of course with this level of restaurant we did start with an Amuse Bouche course which was a tofu and quail egg served on a spoon which really got the taste buds working and set the scene for what was to come and of course at the end of the meal just like last time there was a wonderful sesame and caramel slice and a fruit jelly that cleansed the palette. 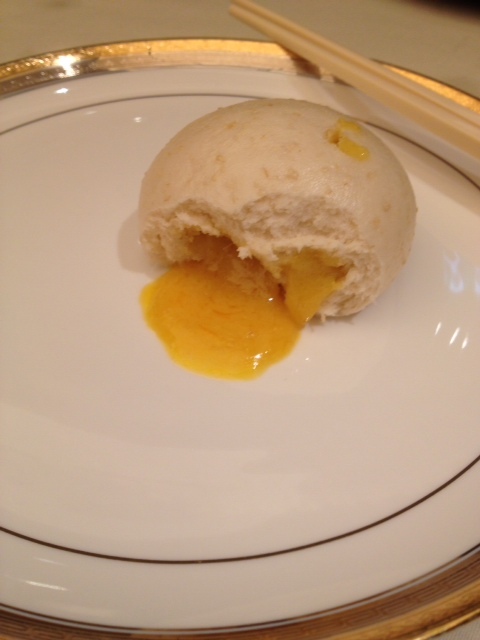 The finale – salted egg yolk custard steam buns – mouth-watering and delightful! 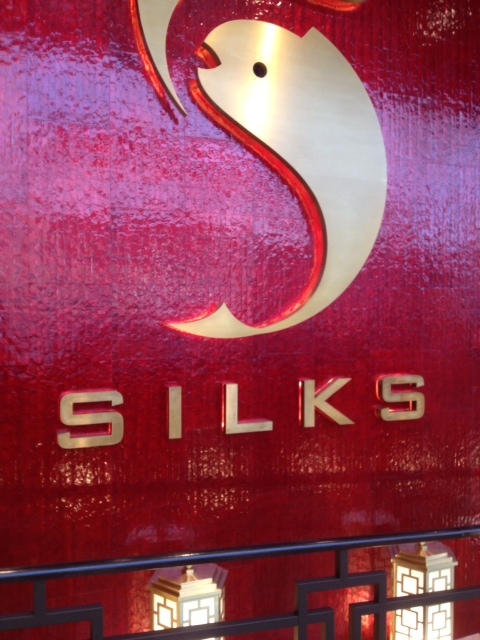 All in all this was a wonderful return to SILKS and it is by far the best Dim Sum in Perth. As you will have seen by my earlier post I also went to the Dragon Palace and enjoyed that experience as well but the Dragon Palace is a more suburban and traditional Dim Sum where as SILKS is Dim Sum fine dining with a real attention to detail. If you head there you will certainly not be disappointed! My wonderful lunch companions my beloved and his gorgeous sister Nola! Do shoes maketh the man?